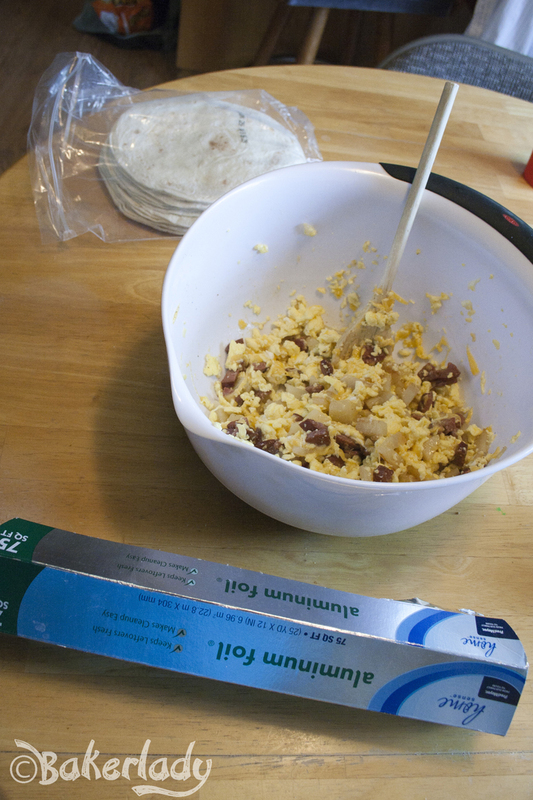 After you’ve cooked all your breakfast goodies and introduced them to each other in a big bowl, set up a burrito filling station somewhere. You’ll need foil, tortillas and your bowl of goodness. 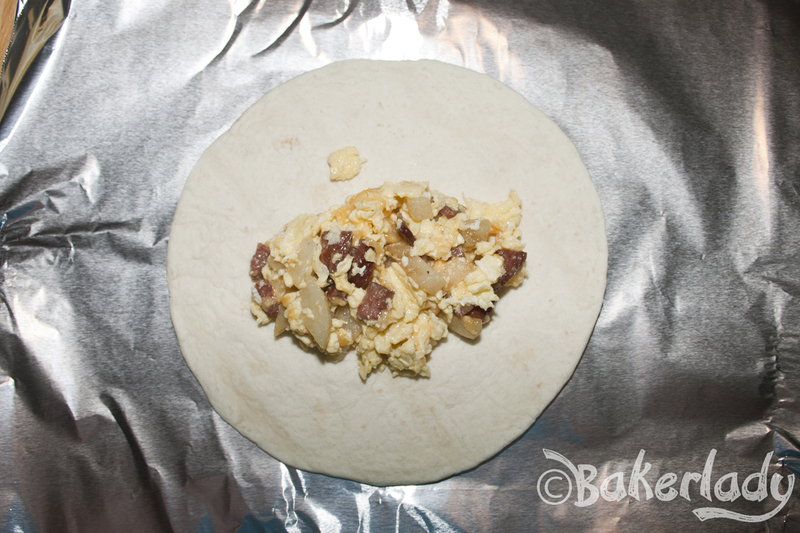 Spread out some foil, set a tortilla on top and slap a big old spoonful of deliciousness in the middle. 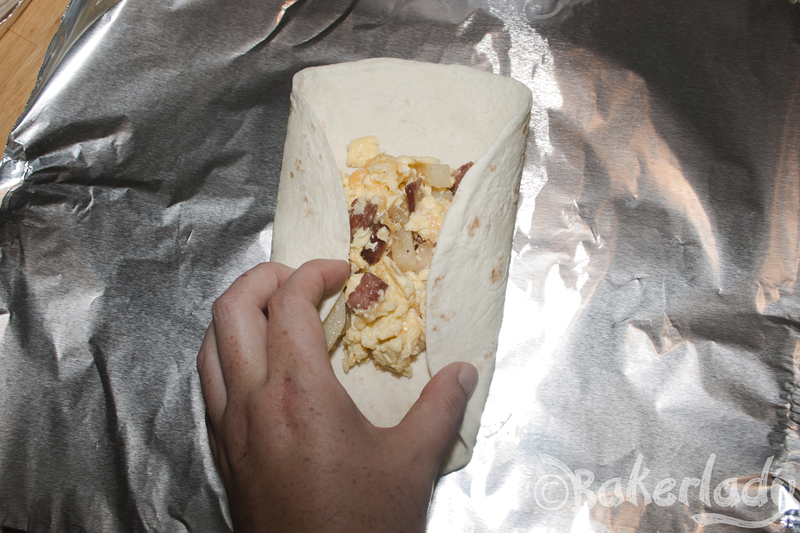 Then fold up the two sides like so, and roll it up into a burrito. 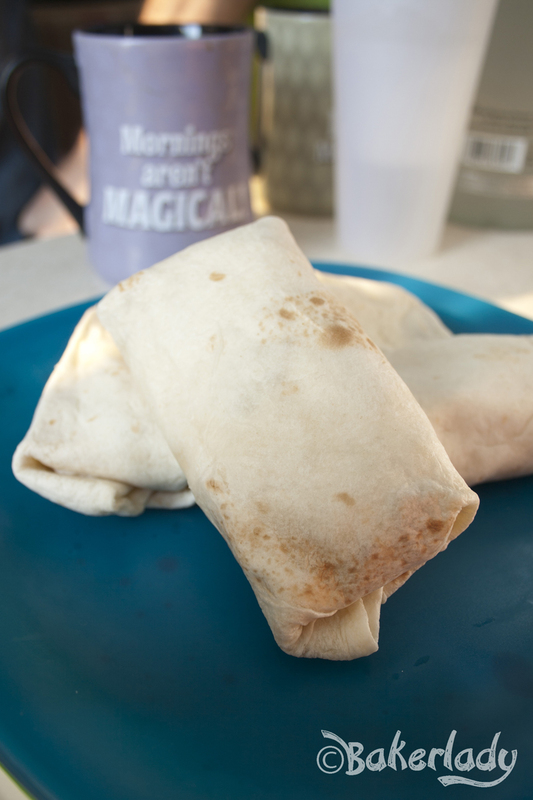 Wrap up your burrito in foil and start again. Repeat until all your filling is gone. 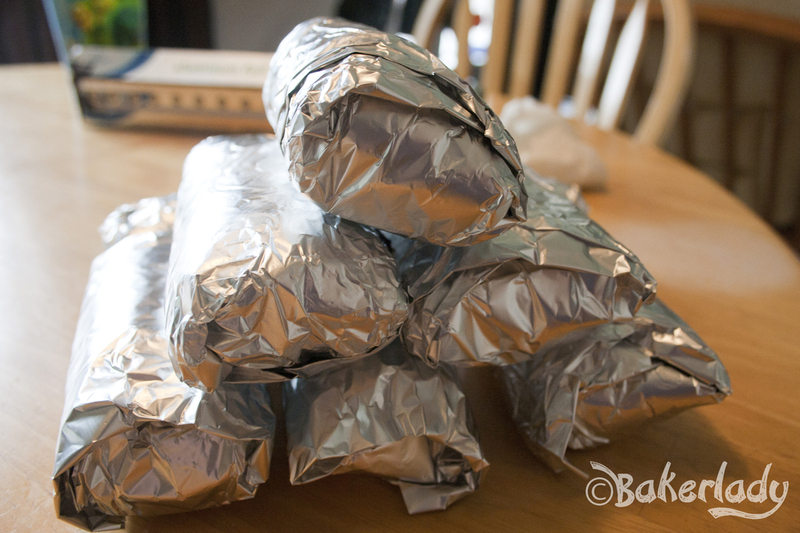 If you want to freeze them for later, use plastic wrap instead of foil. Boom. 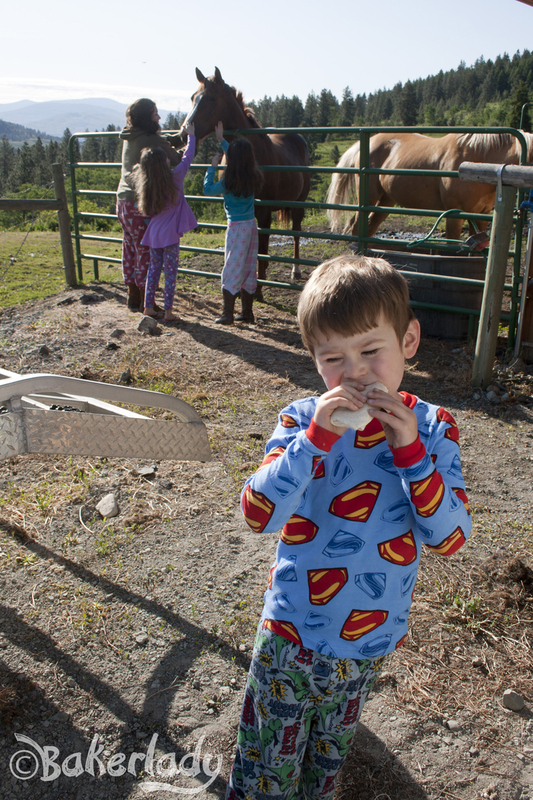 Breakfast for days. Look at all that good stuff. Just waiting to be enjoyed sitting by a campfire. You can season these to your tastes. I used garlic, salt and pepper and they were delicious. If you’re into spicy foods, try adding some hot sauce. Saute yellow onions and garlic in 2 T. olive oil until fragrant. Remove from pan and set aside. In the same pan, saute potatoes until soft. Whisk together eggs and milk then in a separate pan, cook over low heat until you have soft, scrambled eggs. Salt and pepper to taste. Depending on what kind of meat you are using, brown sausage (if using raw ground sausage), or if using pre cooked chopped ham or a sausage link, just add to the potatoes and heat thru. 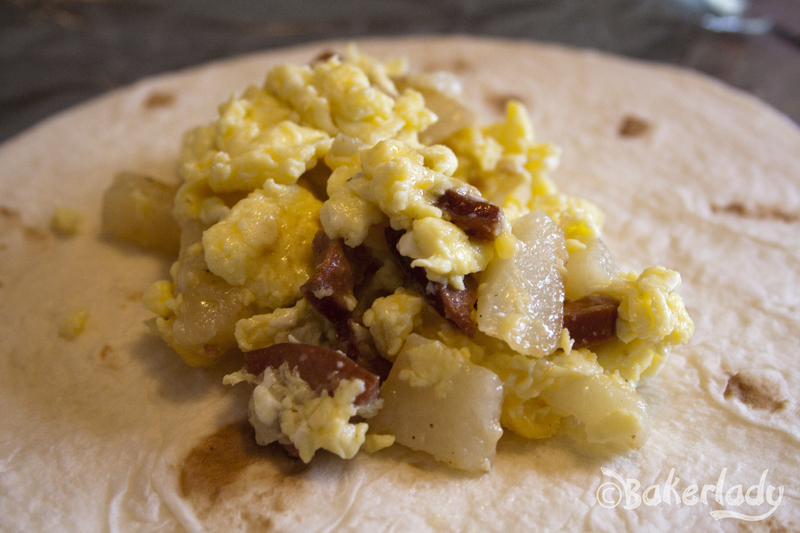 In a large bowl combine sausage, onions, scrambled eggs, potatoes, cheese, Salt & Pepper. 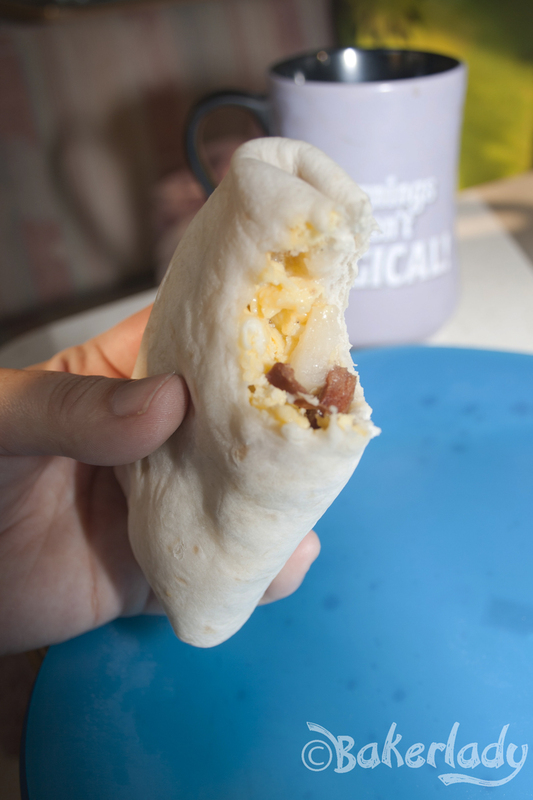 Divide ingredients into tortillas shells. Roll and wrap in tin foil. Or, wrap in plastic wrap and freeze. My kid’s new favorite too!